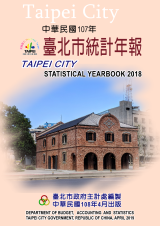 Summary: A total of 272 tables are included in this yearbook, and the data is classified into 20 categories, five tables of data on the National Economy are additionally included as appendices. 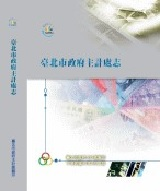 It's bilingual published with Chinese and English. Availability: It is available to the public for reference on the website of the Department of Budget, Accounting and Statistics (DBAS). Summary: It summarizes major administrations and reports major accomplishments through parallel contexts, tables, diagrams, and pictures. And it's available in English version from fiscal year 1995, too. Availability: The Chinese/English versions are available to the public for reference on the DBAS website. 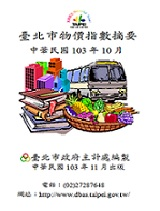 Summary：It collects daily records of family income and expenditure in Taipei within a year. Availability: It can be offered to the public for reference and is available on the DBAS website. 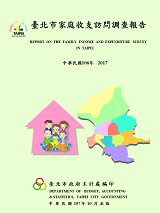 Summary：It collects basic data of the actual family income and expenditure in Taipei through interview. Summary：It collects all accomplishments of DBAS in one fiscal year. 1. It can be offered to all BAS personnel for reference. 2. It is available on the DBAS website. Summary：It contains constitution, autonomous laws, common BAS laws and related regulations. 1. It is available to all BAS (Budget, Accounting and Statistics) personnel for reference. 2. It's sold for the unit price of NT$350. 3. It is available on the DBAS website. 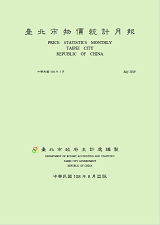 Summary：It collects basic conditions, major accomplishments, characteristic comparison between municipalities, and important economic & social indices in Taiwan Area. Availability：It is available to the public on the the website of the Department of Budget, Accounting and Statistics (DBAS). 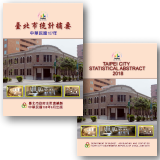 Summary：It contains the following information in Taipei, which are Consumer Price Indices, Construction Cost Indices, Residence Rent Index, and Monetary Quotations. Availability：It is available to the public on the DBAS website. 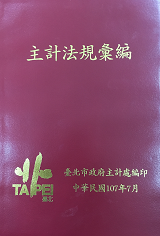 Summary：The folding pages contain important information, such as the splicing table of the price indices in Taipei, the application of the price indices and the analysis for the change of Consumer Price Indices in Taipei(only in Chinese). 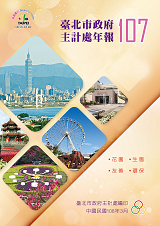 Availability：It can be only offered to the heads of agencies in Taipei City Government for reference. Summary: The promoting process and results of operations for DBAS. 1. It is available to all BAS personnel for reference.